The table shows each professional membership you can apply for depending on which, health & safety qualification you have successfully achieved. Our course advisors and tutor team can help you through your application and provide advice when you need it. All memberships are subject to acceptance by the applicable institutes. 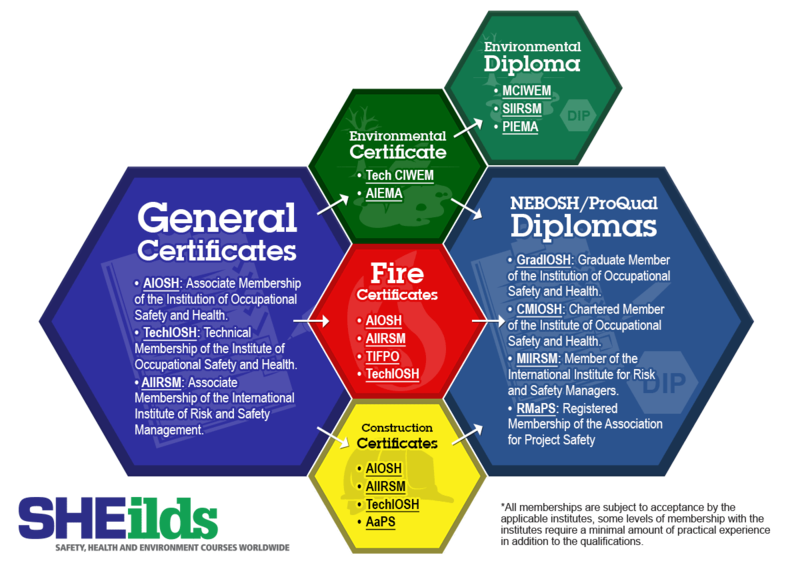 Some levels of membership with the institutes require a minimal amount of practical experience in addition to the qualifications. The level of membership offered is completely at the discretion of the applicable institute at all times. Progression from GradIOSH to CMIOSH is through an internal IPD scheme. Memberships usually have an associated cost which is payable directly to the applicable institute and any such cost is not covered by your course fees.